AutoXLR8R, the automotive-sector startup accelerator that moved last year to Knoxville-Oak Ridge from Middle Tennessee, has apparently found its third owner in the Institute for Public Service (IPS), a division of the University of Tennessee System. Interviewed today by Venture Nashville, UT Assistant Vice President Chuck Shoopman confirmed that IPS's proposal to adopt the Automotive-sector program from current host Tech2020 has been accepted and the transaction should soon be finalized. No timetable has yet been set for applications to AutoXLR8R's anticipated 2016-17 cohort. Detailed financial, programmatic and operational planning and assessing prospects for recruitment of entrepreneur teams and sponsors are among early priorities, said Shoopman. He said he's been in advanced collaboration discussions with regional state accelerators led by Jeff Brown of The BizFoundry in Cookeville and Mike Bradshaw of The Company Lab, in Chattanooga. Naturally, State Economic and Community Development (ECD) and ECD-backed LaunchTN are important allies, said Shoopman. LaunchTN is officially Tennessee Technology Development Corporation, or TTDC. Shoopman recalled that several years ago development of the Tennessee Automotive sector and Advanced Manufacturing generally got fresh impetus when the Brookings Institution issued its high-impact report, DRIVE! Moving the Tennessee Automotive Sector up the Value Chain. The report cited both Tennessee's Automotive strengths and vulnerabilities, and called for aggressive action on UT and Oak Ridge NL technology transfer and private-sector innovation, as well as workforce development and other targets. Brookings also noted that, at the time Brookings' conducted its research, the state was experiencing "a dearth of formal and informal mechanisms for technology transfer" and LaunchTN's priorities and funding model had not, at that point, proven highly relevant to advancing Advanced Manufacturing, particularly in the Automotive sector. LaunchTN recognizes the value of the sector. Apparently drawing on the Brookings data, LaunchTN CEO Charlie Brock said in 2014 that Tennessee's automotive workforce is greater than that of any other state and a third of all "Advanced Industries" workers in Tennessee are in the Automotive sector. Brock added that employment in Tennessee's automotive sector "increased by an average of 16.1% each year from 2010 to 2012, compared to 1.8 % in the economy overall." 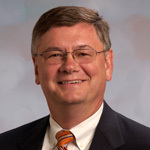 Moreover, Brock noted that the automotive industry has created more than 12 percent of all new jobs in the state since the recession; and, in the face of domestic and global competition, Tennessee needs "to focus even more intently on bringing together the drivers of business innovation: entrepreneurs, research institutions, major corporations and investors..."
Shoopman expressed confidence that IPS's infrastructure, resources and networks represent advantages in relaunching AutoXLR8R into its eventual fourth cohort training program. Among IPS's numerous mandates, providing training and leadership for economic development and entrepreneurship are most relevant here. Other programs anchored at the University of Tennessee and Oak Ridge National Laboratory are likely to provide additional momentum, he said. For example, UT plays a prominent role in operating The Composites Institute, formally known as the Institute for Advanced Composites Manufacturing Innovation (IACMI), within which the Automotive sector is a key focal-point. The IACMI "manufacturing hub" is the fifth Institute in the National Network of Manufacturing Innovation, supported by the US Department of Energy's Advanced Manufacturing Office. Vanderbilt University, through its School of Engineering, is one of more than 100 other institutional members of the IACMI consortium. UT IPS also plays a pivotal role in the Tennessee DRIVE for the Future of Manufacturing Community, an initiative under the federal government's "Investing in Manufacturing Communities Partnership" program, through which IPS enjoys many major partners, some of which are named here. 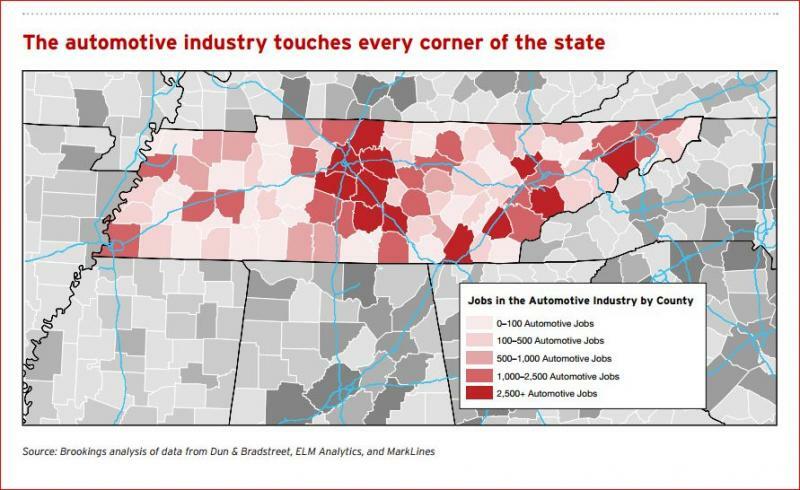 Though Middle Tennessee has many Auto-related jobs, the extremely active Nashville Entrepreneur Center (EC) does not seem to contemplate heavy involvement in AutoXLR8R efforts. In fact, EC CEO Stuart McWhorter said during a recent presentation in Williamson County that, apart from its current major programs -- Project Healthcare, Project Music, and support of Bunker Labs and Ingram Content Group-backed 1440 accelerator -- the only other vertical that the EC might consider supporting near-term might be Financial Technology (FinTech). Asked for comment today, McWhorter said, "The Automotive industry is important to the state and that I am glad to see that AutoXLR8R will be finding a home to further its efforts." As previously reported by VNC, Tech2020 is sunsetting. Earlier, Tech2020 acquired the AutoXLR8R from its creator, the SMTEC accelerator in Tullahoma, south of Nashville. Tech2020 staff previously had provided contract support for the SMTEC accelerator. Tech2020's 2015 AutoXLR8R cohort members are listed here.